When you decide to holiday in South Island, you will find it a daunting task to decide the things to do and places to see in South Island. You can even consider hiring a comfortable and fully-equipped campervan to explore the most popular tourist attractions in Picton, Nelson, Christchurch and Queensland at your own pace. However, you must keep in mind some simple tips to hire the right campervan without spending a lot of money. Always book the campervan well in advance to negotiate with the company for the best rate. The daily rate will be cheaper, if you book the motorhome for a longer duration. The campervan rental prices vary from one season to another. You have to pay high price to book the motorhome during holiday season. Likewise, you can avail special deals and discounts by booking the vehicle during off-season. You can always save money by opting for a fully-equipped motorhome. As the campervan comes with kitchen, toilet and shower, you will not be required to save the campsite cost. The fully-equipped campervan will make it easier for you to enjoy freedom camping. The relocation package will help you in saving money. 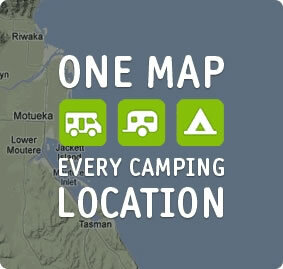 It is always important to pick a campervan rental company that offers flexible pick up and drop off locations. The option will enable you to pick up the vehicle from one location, and drop it off at another location within a predetermined period of time. You must check if the company charges extra for the relocation package. You can further save fuel cost by opting for a diesel motorhome rather than a petrol campervan. Normally, a diesel engine will travel 200 km more on a full tank than a petrol engine. The lower price of diesel will help you in saving a lot of money. You can further save money by hiring the clean, comfortable, well-designed and fully-equipped campervans provided by Camperco. Despite being a South Island based campervan rental company, Camperco allows you to hire motorhomes to explore Picton, Nelson, Christchurch and Queensland. The campervan hire South Island Nz company further believes in making the holiday more comfortable and fun for visitors without making them spend a hefty amount.